Who can tell me what's in the picture? This layout was inspired by Crop Diva's Destination's sketch #31. 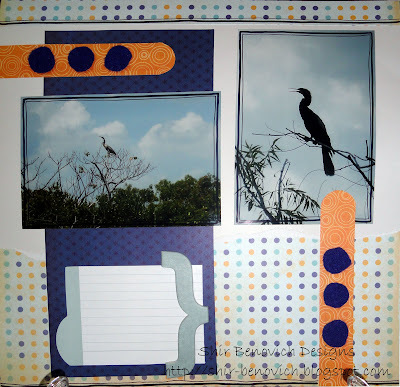 I used: DCWV patterned papers (Fun in the Sun stack), Fiskars corner rounder, Sharpie, We R Memory Keepers - chipboard, felt.